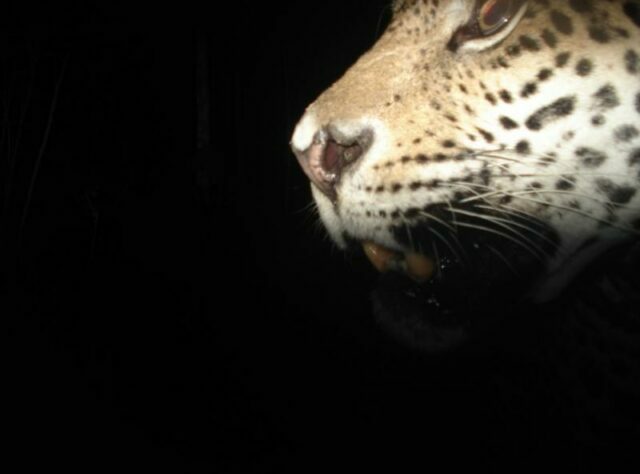 In reserves supported by World Land Trust (WLT) in Latin America Jaguars are being captured – on trail camera – by wildlife rangers. 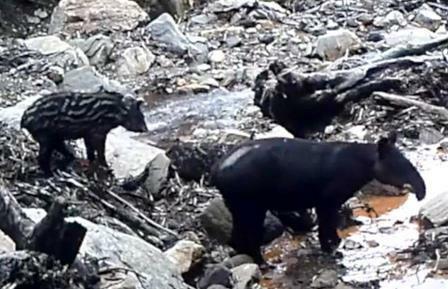 A relatively recent piece of technology, the remote camera allows us a glimpse into another world, to witness the secret nocturnal behaviours of animals traditionally so camera-shy. In the case of big cats, trail cameras are providing important data about population numbers, family groups and individuals. The slightest crunch or rustle of leaves 100 metres away would usually have a big cat fleeing far quicker than the time it would take to depress a camera button. However, these days it is possible to capture those much-sought special moments without any human presence to scare them off. These automated devices – triggered by the slightest movement of tail or whisker – are fast becoming a key piece of equipment for biodiversity monitoring, providing visual evidence for researchers and conservationists. In 2011, WLT launched its Keepers of the Wild programme to enable its overseas partners to employ rangers to work on the reserves, to protect against activities such as illegal logging and wildlife poaching. 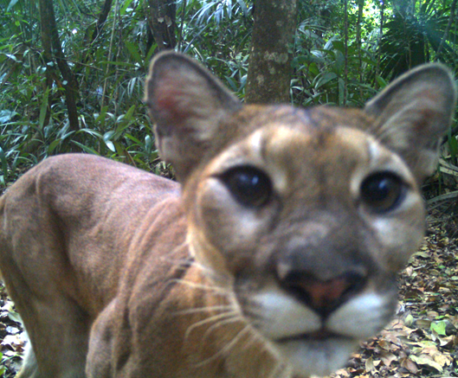 In Latin America, some of these rangers were once hunters and their intimate knowledge of habitat and terrain has proved tremendously useful when it comes to monitoring wildlife and locating trail cameras. In 2014 WLT’s major fundraising effort is the Big Cat Appeal to support the conservation of big cat habitat. As well as funding land purchases to expand protected areas for big cats, WLT’s Big Cat Appeal will also support rangers that are employed in reserves that are known to shelter big cats. In addition to supporting salaries, funds provided by WLT also provide rangers with equipment, such as strong footwear for hiking, durable and weather-appropriate clothing, rucksacks, binoculars, compasses – all the things needed to work in the field. Funding has also allowed WLT’s partners to purchase trail cameras, which are positioned, checked and maintained by rangers, and which provide important information for understanding and monitoring the species they are trying to protect. By supporting the WLT’s Big Cat Appeal, not only will land be secured for the survival of majestic felines like the Jaguar, but the organisations on the ground will also have the means to protect them for the future. The World Land Trust International Trail Camera Competition 2014 in association with The Times newspaper is open to entries from organisations primarily concerned with conservation of wildlife and the environment. The competition has four categories, three for still pictures and one for moving pictures.